The opening film at this year’s Galway Film Fleadh, which runs from Tuesday 10th July until Sunday 15th July, is The Belly of the Whale – the first feature film from director, Morgan Bushe. The cast includes Michael Smiley (A Field in England), Pat Shortt (Garage), Lewis McDougall (A Monster Calls), Art Parkinson (Game of Thrones) and Peter Coonan (Love/Hate). Bushe has previously directed the award-winning short film, If I Should Fall Behind. After breaking free from his foster-home, feral teenager, Joey Moody, returns to Laytown, a rural Irish town just over the horizon, in a bid to reclaim his family’s caravan park, and salvage his friendship with his best mate and drinking partner, Lanks. Meanwhile, on a mission to find the money to pay for his sick wife’s medication, Ronald Tanner, a fractured soul, risks his meagre lifesavings on a get-rich-quick scheme, that ends in abject failure and humiliation at the hands of local big-shot, Gits Hegarty, pushing Ronald over the edge and off the wagon. After Joey accidentally torches Ronald’s campervan, and is forced to find the cash to repay him, the strange pair find themselves bonded together in misfortune. In an effort to change their crummy existence, they concoct a slapdash plan to rob the Pleasurama, the local amusement arcade, and the domain of the iniquitous Gits. All that stands in the way of the good life is a group of toughs, their own incompetence, and fate itself. 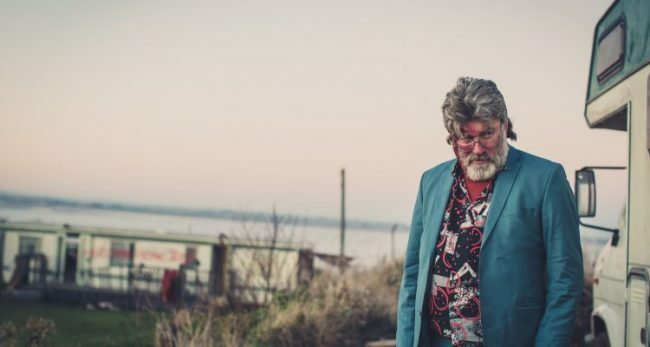 “It was always our hope to screen The Belly of the Whale at the Galway Film Fleadh, so we’re delighted and honoured that it’s been selected to open the festival, and would like to take this opportunity to thank Miriam and Will for giving us this platform to launch this bold tale ahead of its Irish theatrical release. In the past I’ve shown all my short films in the Town Hall, so I know already how great the audiences are, and I’m looking forward, along with our prodigious cast and crew, to now bringing my debut feature”. The six day 2018 Galway Film Fleadh welcomes a variety of filmmaking and filmmakers from around the world, attracting directors, actors, cinematographers and artists of all generations and cultural backgrounds. The Galway Film Fleadh celebrates its 30th anniversary this year. The Belly of the Whale screens at 7:30pm on Tuesday 10th July, followed by a Q+A with cast & crew, and an Opening Night Reception. ← Celebrate Pride – Netflix best LGBTQ+ titles to Stream Now!